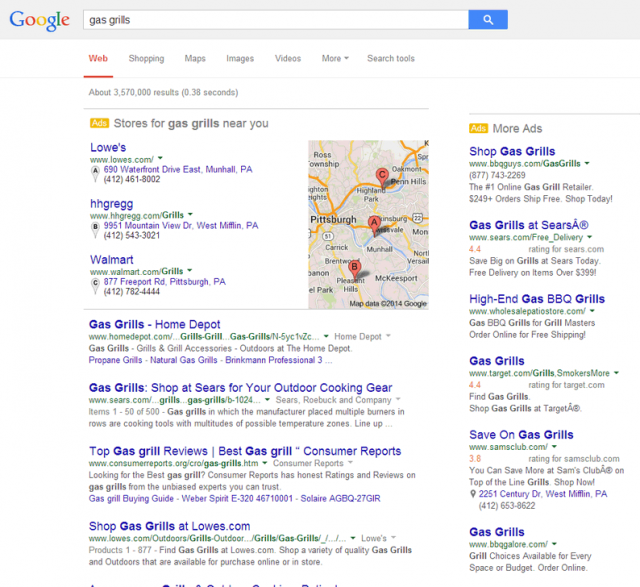 Google AdWords Testing New Local Ad Format? 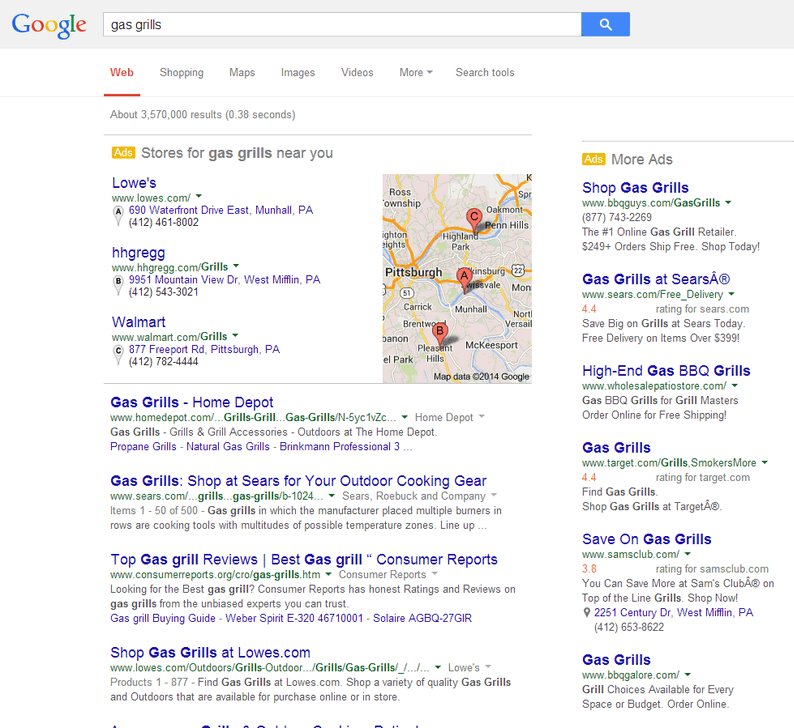 @dr_pete spotted a new Google user interface test for local maps ads within the Google search results. The ads show up in what looks like an organic local map box, but it shows ads for stores near you that sell the product you just searched for. It is labeled an ad but looks like the organic maps results you'd see when doing a similar query. In addition, if you look to the right, and look carefully, you will see a new rating format. A red number, followed by weird white space, then "rating for website.com." This was spotted by Moz tracking tools and is currently not live. It is probably a rare test and may or may not go live.